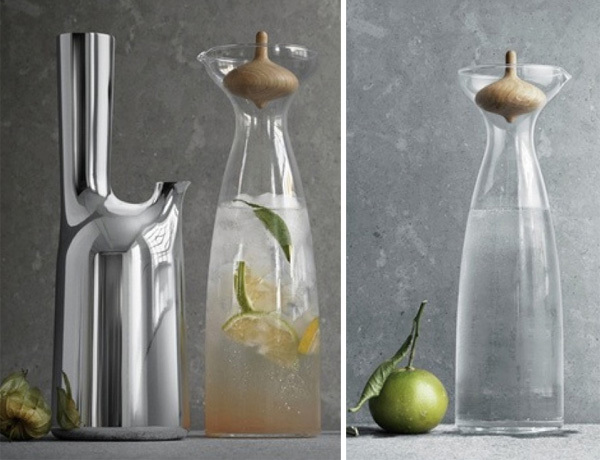 On fun design spotted in real life ~ just noticed the new Alfredo Haberli Carafe for Georg Jensen at La Rinascente in the design supermarket… and it seems to be half the price of what i’m seeing online (though i can’t find it for the life of me on the Georg Jensen site)! 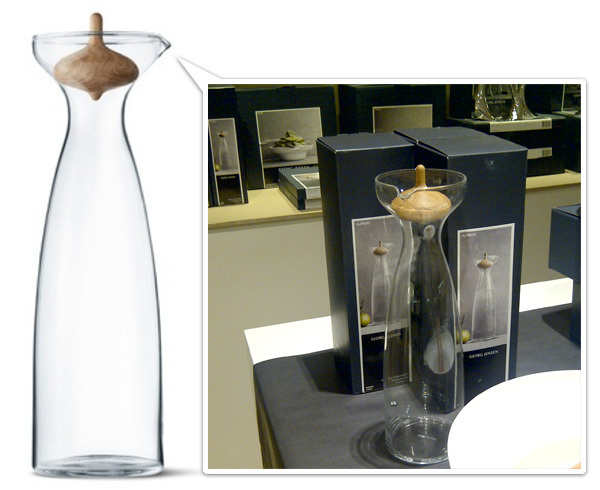 While we saw the preview on NOTCOT.org of the new collection from Alfredo Haberli, in person, it drew me in with the wooden spinning top of a stopper of course (remember these and these?) 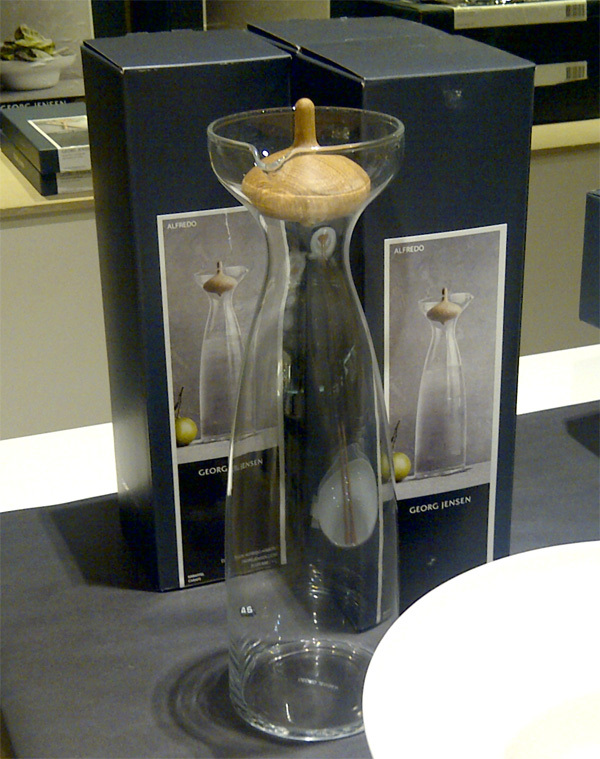 ~ AND, you can even buy just the top over at Unica. Take a peek at it up close on the next page! In real life… 45 euro? Absolutely gorgeous…I love the design and the clean looks. Beautiful photographs as well! 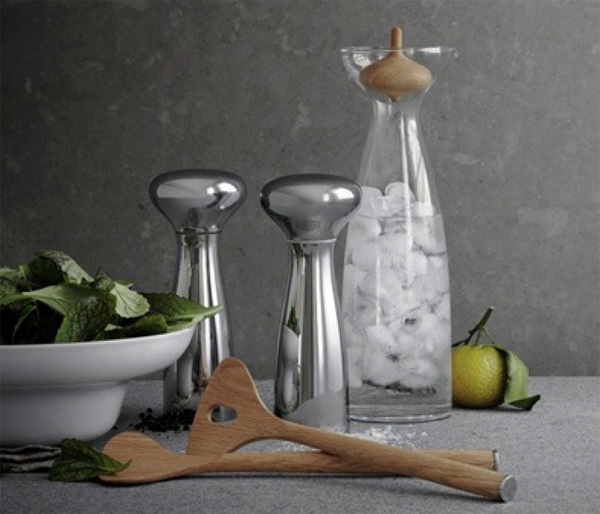 I love the wooden spinning top stopper! I think that it is super creative!